The invoice total is lower than the quote total. What should I do? Just use the "Adjustments" tab in the invoice window. You can write something like "Extra Words Fee" or anything else in the "Description". 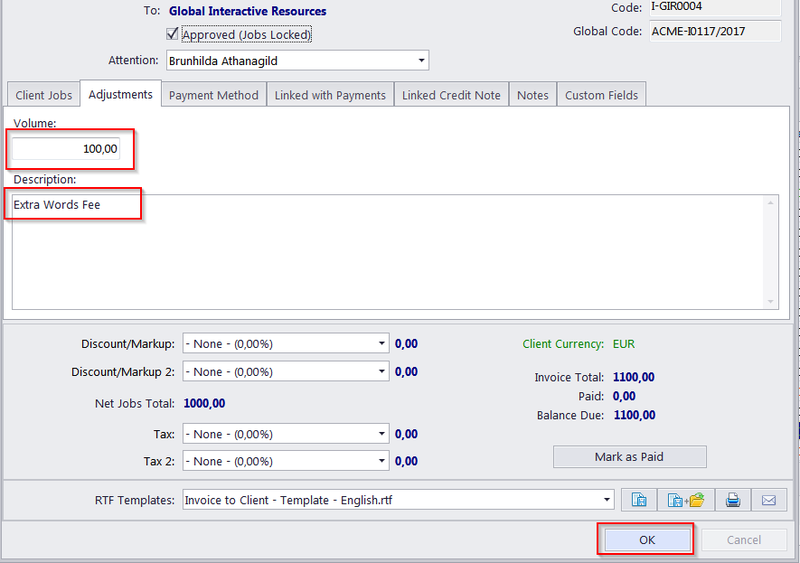 This adjustment will increase the invoice total and will be displayed with descriptions in the invoice. Adding a negative adjustment will decrease the total.